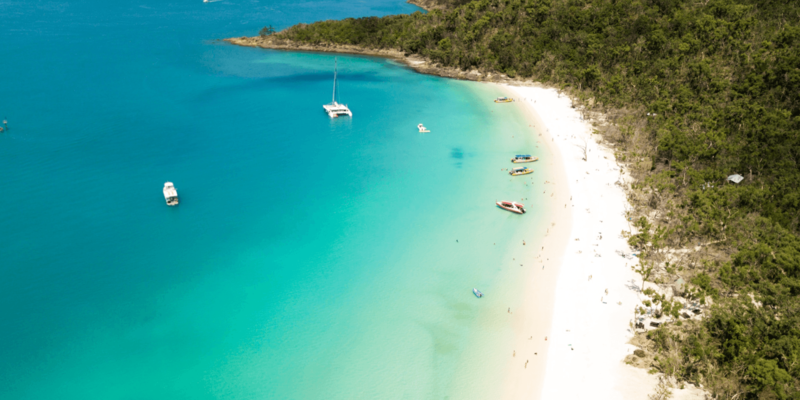 Our last day in Tropical North Queensland was a little cooler and rainier than the other days so we thought we would spend it exploring around Cairns, before we had to get on a flight back to Melbourne. We decided to jump on board the Skyrail Rainforest Cableway and experience the rainforest from the sky this time, instead of the road. 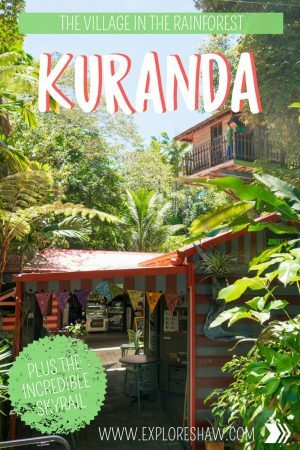 The town of Kuranda is a peaceful little town, completely immersed in the depths of the tropical rainforest. 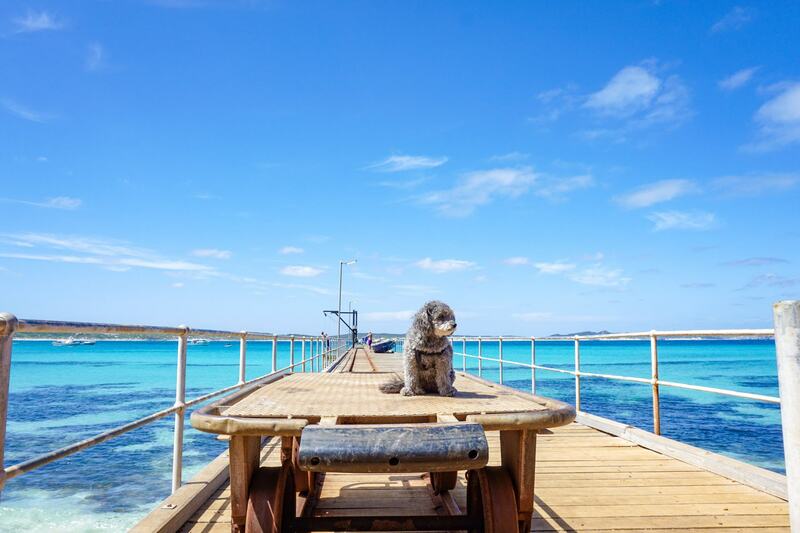 With many different dining options, as well as wildlife experiences and two different marketplaces, it’s easy to spend a day exploring this little town. 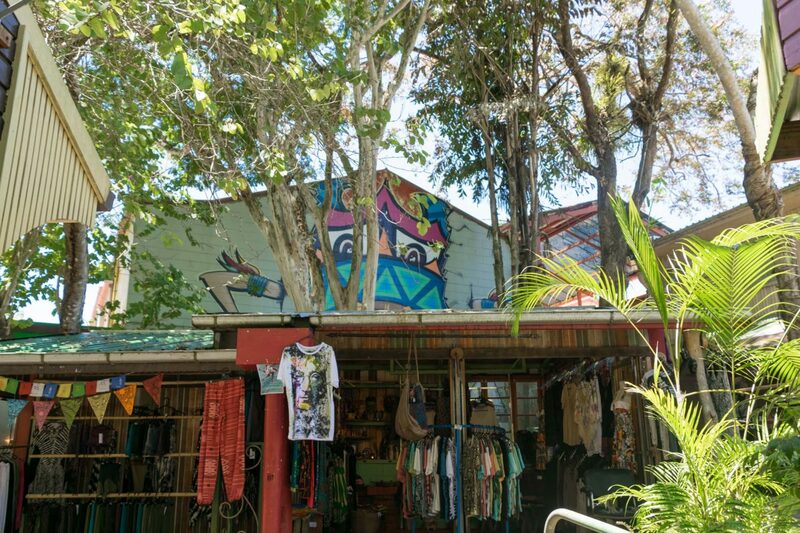 The Kuranda markets are world famous and offer a wide range of Aboriginal artifacts, handmade leather goods, wood and jewellery as well as unique art pieces. 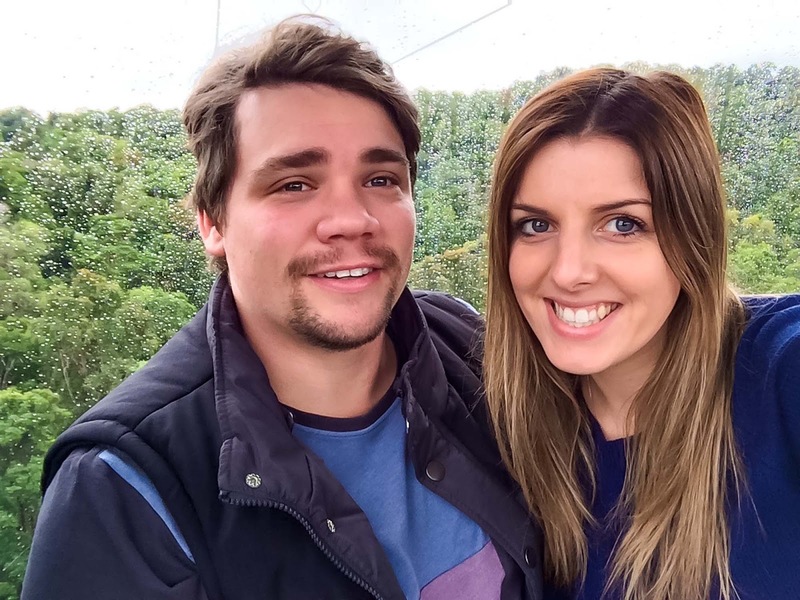 Here’s a little more about our day and experiences in Kuranda. 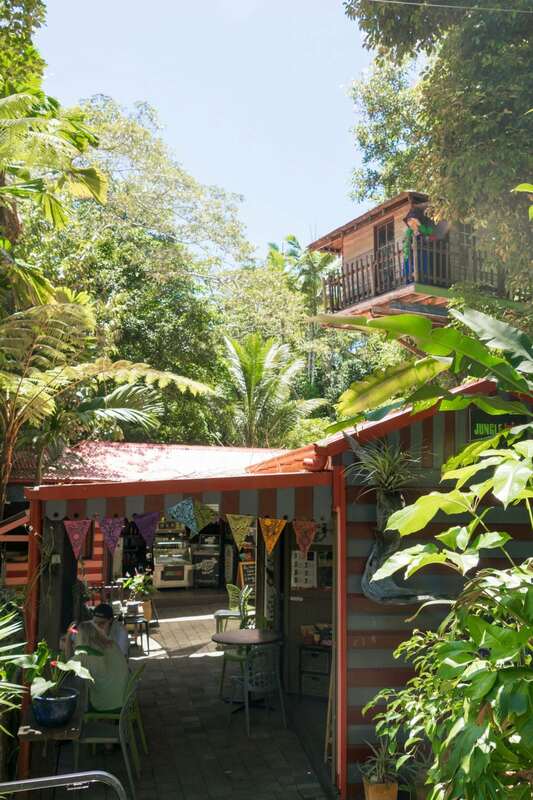 Check out the best places to stay around Kuranda. 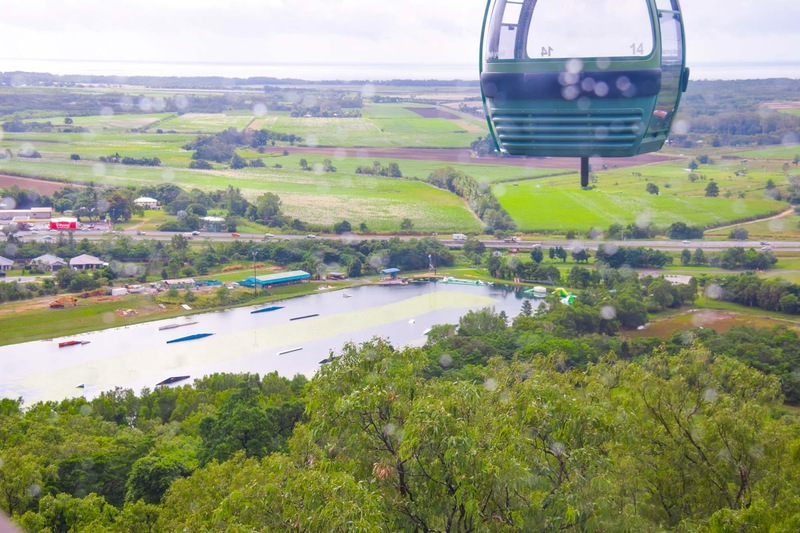 The Skyrail experience travels 7.5kms over Australia’s pristine tropical rainforests and is one of Cairn’s most popular attractions. Gliding just metres above the rainforest canopy, before descending through the layers and deep into the heart of the forest at each station, you really do experience the rainforest in a completely unique way. It was extremely overcast and cloudy when we set out on the Skyrail, so we felt like we were literally travelling into the clouds! 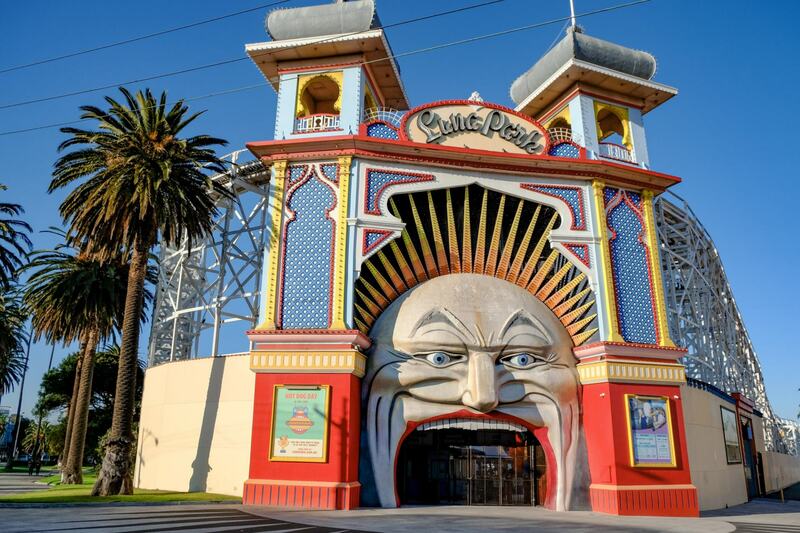 The Skyrail experience takes approximately one and a half hours, depending on how long you spend at each station. The cableway stops at Red Peak Station where you get a feel for the rainforest, and Barron Falls Station for a great view of Barron Falls. You don’t have to explore these two stations, but you will have to get out of your gondola at each station anyway so why not have a look around! 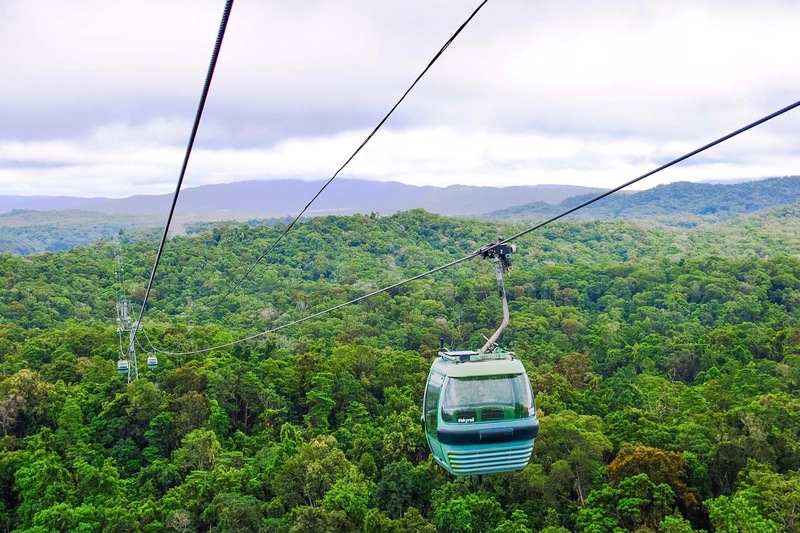 At the top of the Skyrail sits Kuranda, quite literally the village in the rainforest! 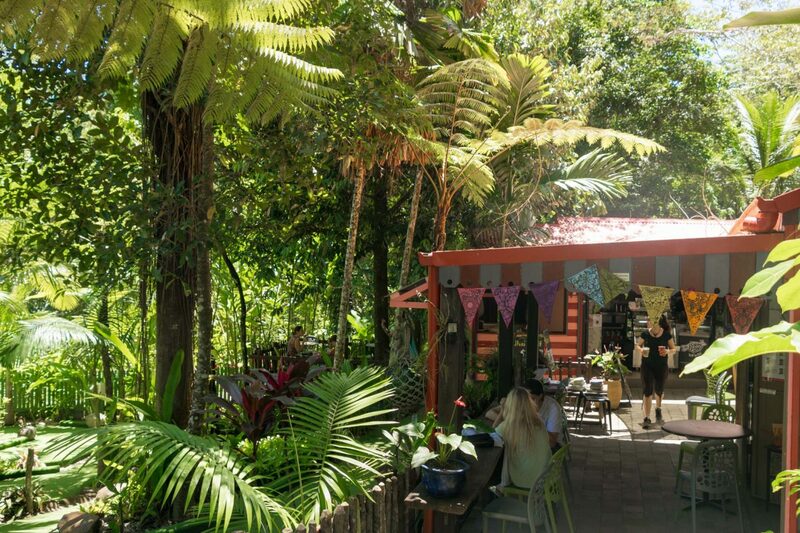 World famous for it’s markets, Kuranda has two market locations including the Original Markets and the Heritage Markets which are both open every day of the year. Absolutely beautiful to walk around, the markets are positively bustling with tourists shopping, locals catching up and entertainers offering unique performances. Deep in the markets you will also find several different wildlife experiences. 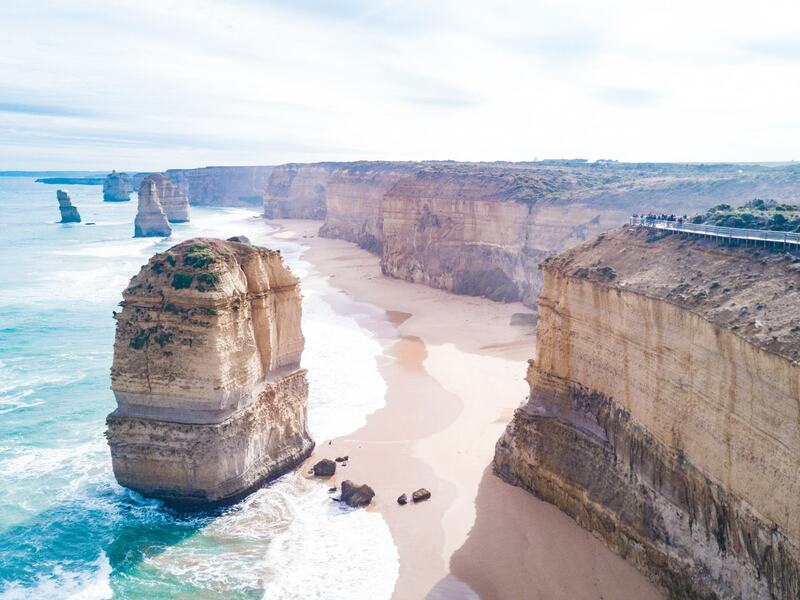 Grab your tickets for the Skyrail here. 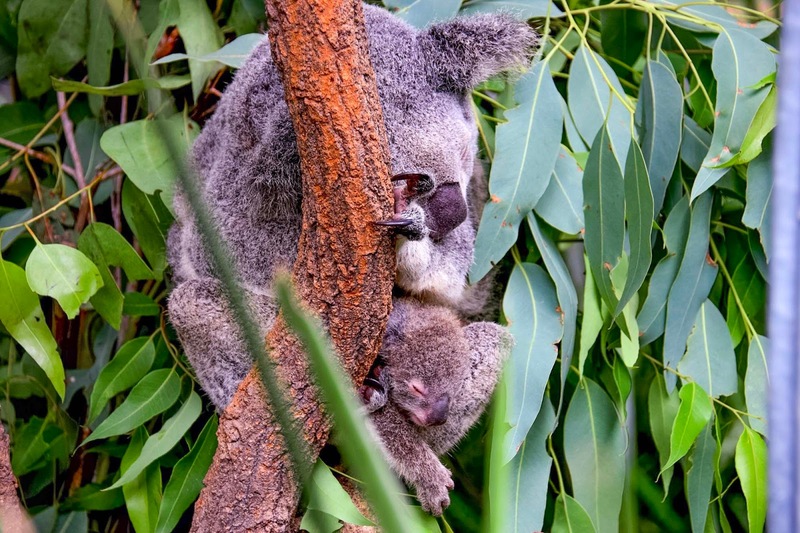 Kuranda’s newest wildlife attraction, Koala Gardens gives you the opportunity to see some of Australia’s most unique wildlife up close and personal with their beautiful open gardens layout. 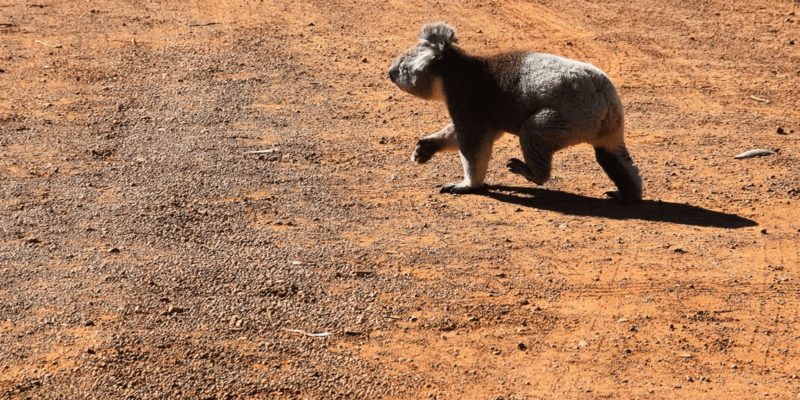 Get up close to koalas, wallabies, wombats and kangaroos, as well as observing crocodiles, snakes and lizards from a safe distance. One of the koalas even had a baby in her pouch while we were there! 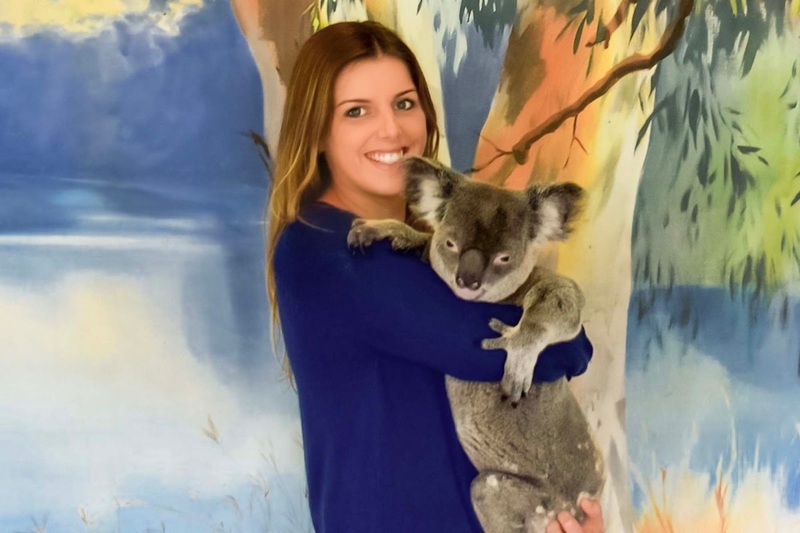 My main reason for visiting Koala Gardens was the opportunity to cuddle a koala for only $20AUD. I got to meet Fred, the beautiful guy pictured above and have a nice big cuddle. The staff at Koala Gardens were fantastic, so loving and caring towards Fred, even holding him and wiping his nose like he was their own baby. The best part about this experience is that they also allowed photos to be taken with our own camera, and even offered to take a photo of both of us together with my camera for no extra charge! This is super important to me because I always like to have the digital files, and let’s be honest, printed souvenir photos aren’t always the most flattering. 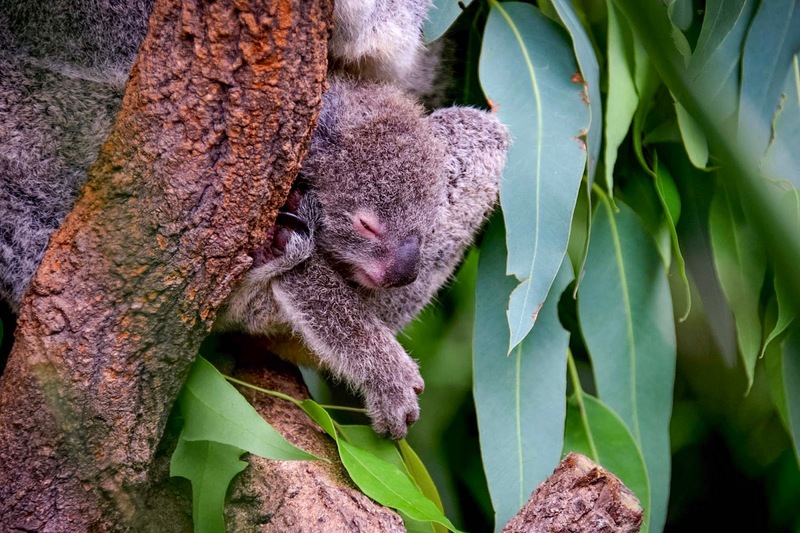 Tickets into Koala Gardens start at $18AUD per person, and the Cuddle a Koala experience is an additional $20. 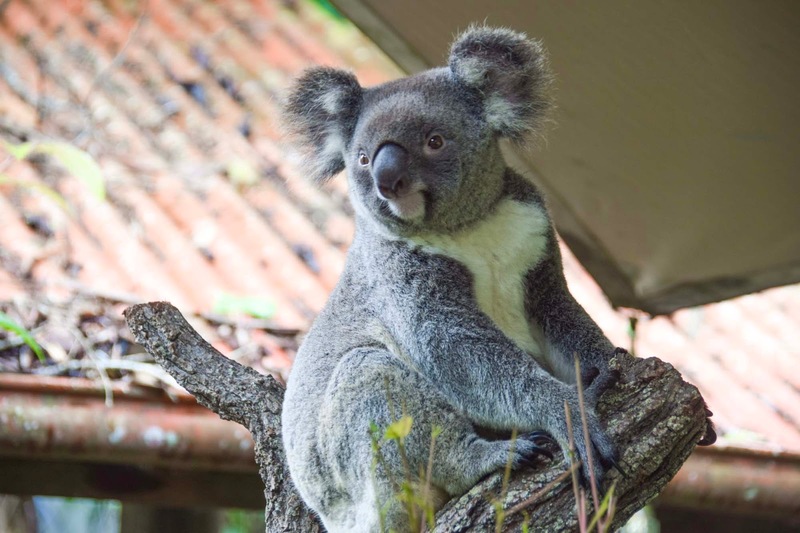 If you’re interested in the complete Kuranda Wildlife Experience, which includes admission into Koala Gardens, Birdworld and the Australian Butterfly Sanctuary you can grab an Experience Ticket for $48.50AUD per adult. 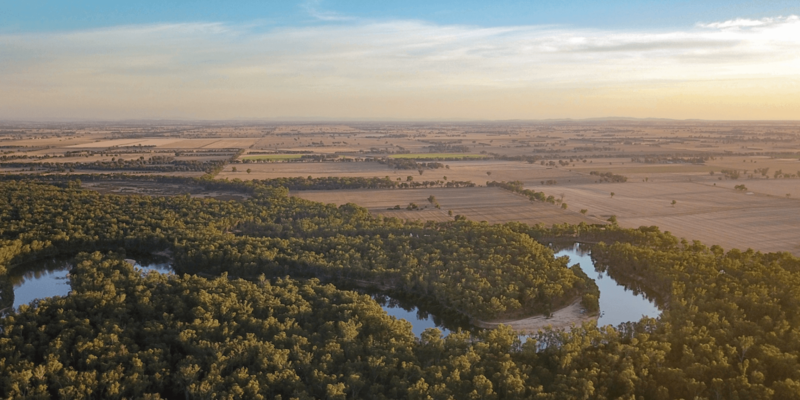 Book your tickets for the Koala Gardens in advance here. For our trip home we boarded the Kuranda Scenic and Historic Railway. 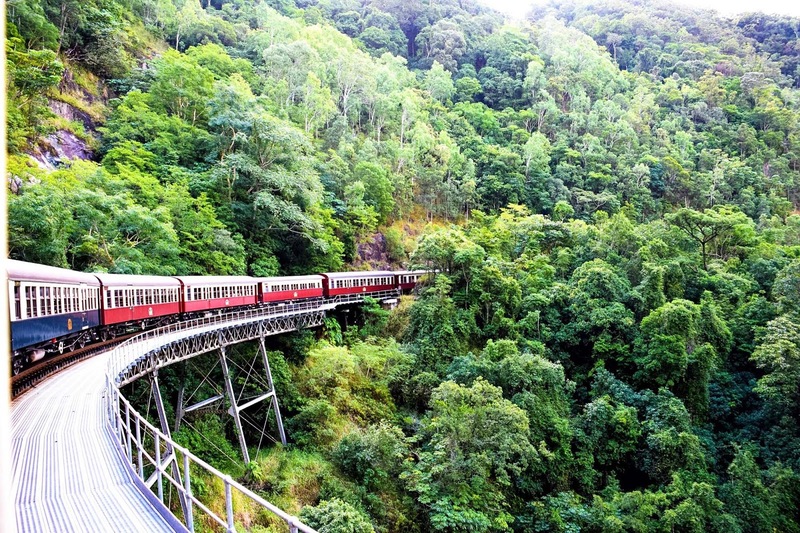 Built in the 1800’s the Kuranda Railway was constructed by hand. The train rides takes you on a scenic ride through the rainforest, offering different perspectives of waterfalls and views over Cairns. 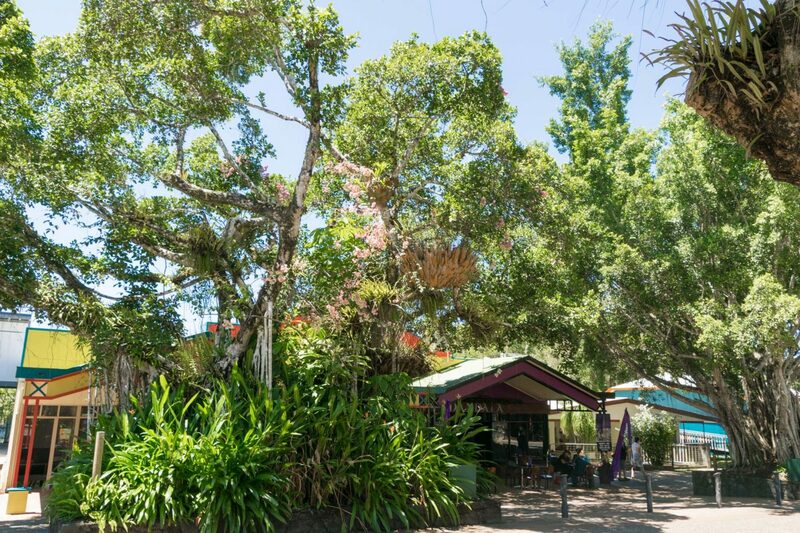 It’s great to travel to Kuranda in two different ways to see as much of the rainforest area as you can. The travel time is also quite long, so it’s good to shake it up a bit. 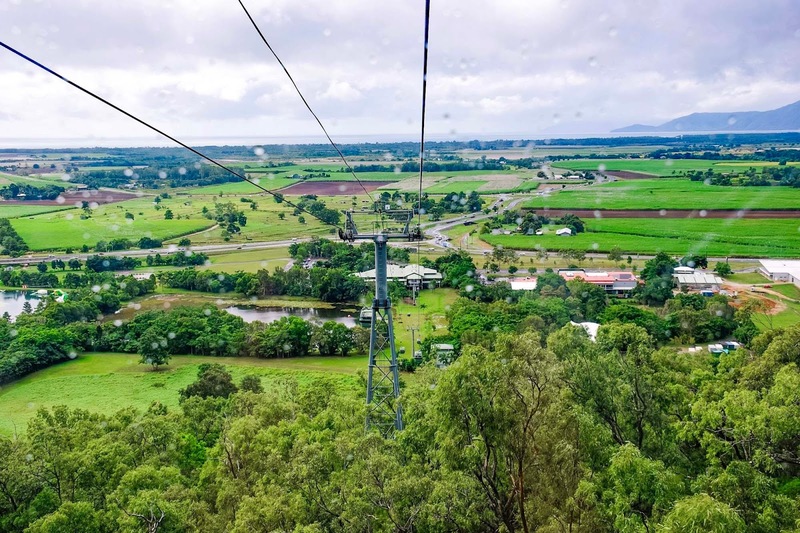 For our day exploring Kuranda we purchased a return ticket, one way Skyrail experience and one way Kuranda Railway experience which cost $109.50AUD per person. You can get a full list of all prices and the different tours and experiences available here. 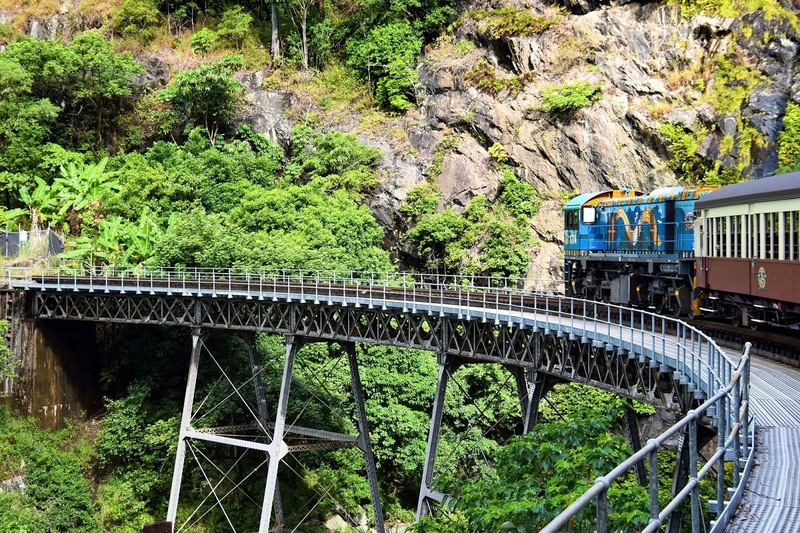 You can also find out more about the Kuranda Railway and it’s history here.